Guest curator Emily Liebl, of EL Vintage blog and online shop is here today to share with us her vintage picks from her great little store. I happened upon her awhile back and loved the pieces she had, obviously a great cue to her taste in style. 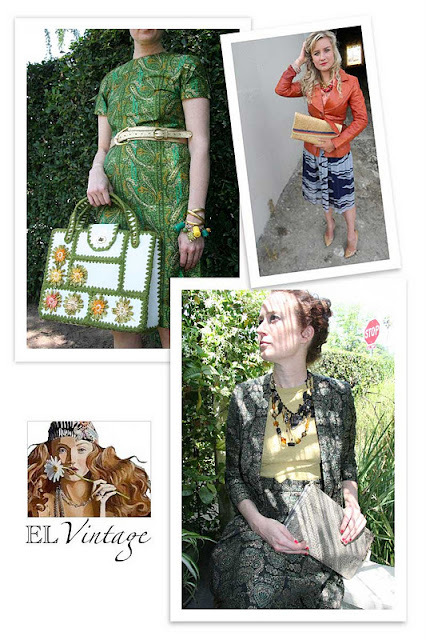 She carries vintage only, high quality pieces and even designer label vintage. For the person on your list that is in love with clothing from the past, they will absolutely love just about everything in her shop! 1. vintage. 70s Elegant Bohemian Cream Dress- Found here. 2. Jewelry. Luxe Necklace by EL Vintage - Found here. 3. vintage. Fall Winter 2011- 70s Philippe Sienna Leather Clutch - Found here. 4. vintage. 60s Deadstock ERCU Brown Wallet - Found here. 5. Ooh la Lingerie - Found here. 6. handmade. Czech Colored Rose Gold and Copper Bead Bracelet Set - Found here. 7. vintage. DEADSTOCK Dusty Pink Rayon Dress - Found here. You can also find Emily on facebook and tumblr! 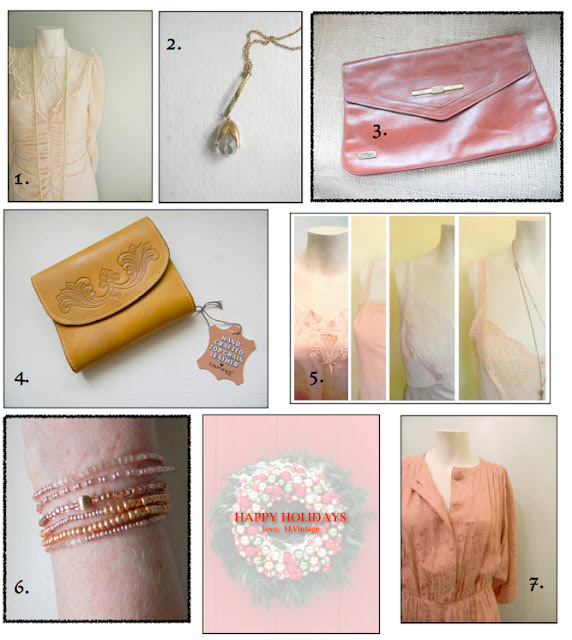 A special thanks to Emily for being the very first guest curator and first guest on the blog! Thanks my dear lady! :) Glad to have you here!